Dominic and Charlie conducted some expert research and exploration using the internet. They presented their findings about food chains of different types of animals in a clear and informative way. 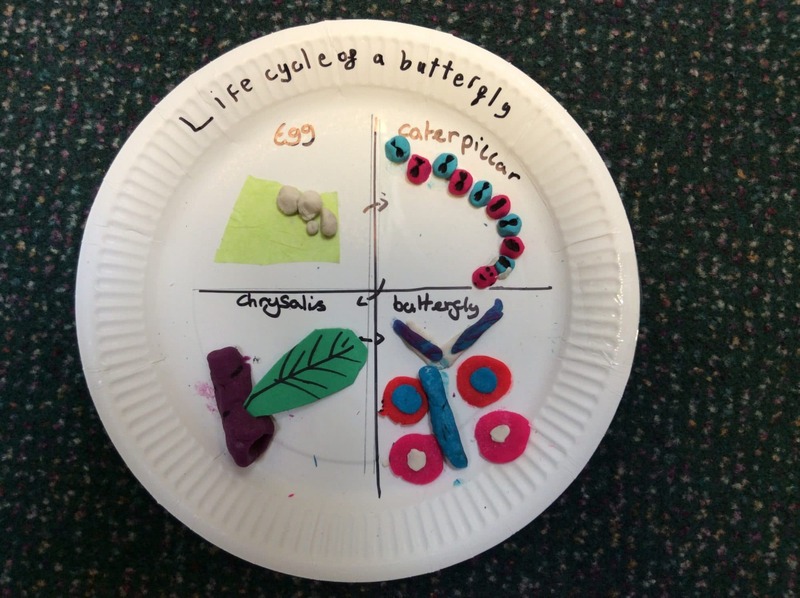 Molly and India showed great scientific understanding in this craft activity showing the life cycle of an insect. They took great pride in their work and it is beautifully presented.